SINGAPORE, 29 October 2013 – EZ-Link Pte Ltd, Singapore’s largest issuer of CEPAS-compliant cards, today unveiled My EZ-Link Online Shop (www.myezlink.com.sg), its first e-commerce venture featuring limited edition ez-link cards and fashionable ez-link memorabilia. EZ-Link kicks off the launch with the endearing Hello Kitty ez-link Card Series, starring the world-famous feline character. The Hello Kitty ez-link Card Series comprises four Limited Edition Cards featuring famous sights and special occasions of Singapore in mesmerising etched and glitter printing effects, priced at S$19.90 each (including GST) and eight Classic Cards with specially curated images from Sanrio priced at S$14.90 each (including GST). 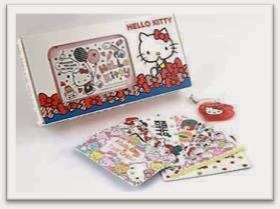 Each card is packaged in a bespoke Hello Kitty box with a nifty Sanrio Hello Kitty mobile screen cleaner. The Hello Kitty Classic ez-link Cards will be launched first on 29 October 2013 onwww.myezlink.com.sg and four designs will be exclusively available at selected TransitLink Ticket Offices. Starting in December 2013, the Hello Kitty Limited Edition ez-link Cards will be on sale on the online shop, with a new card being made available every two weeks. 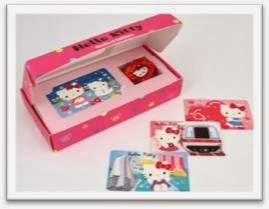 The Hello Kitty ez-link Cards each come with an exclusive box and a Sanrio Hello Kitty mobile screen cleaner. Nexus 5 to be available in both Black and White versions. Will be launched on November 1st.